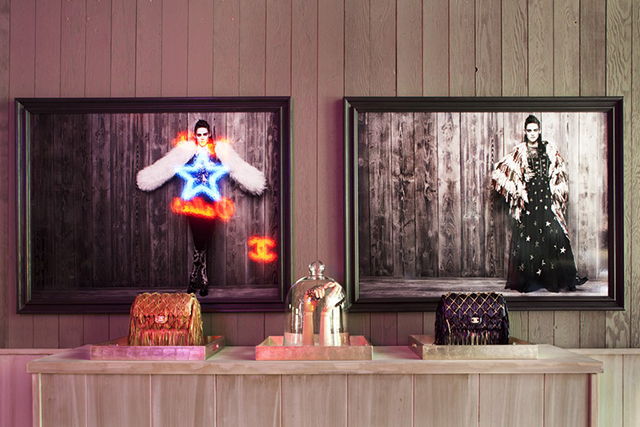 The house of Chanel has just opened a popup shop in Aspen Colorado. The large 1,850 square foot shop is a first for Chanel and will feature its pre-fall Me’tiers d’Art Paris-Dallas Collection with Kristen Stewart. “We don’t want to be predicable,” she continued. “It’s just really about the adventure. This proves to be quite the adventure for Chanel. The shop will remain open until July 6 in Aspen, Colorado.